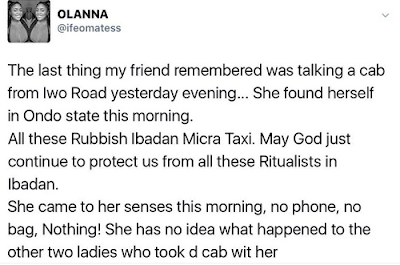 Reports of atrocities committed by Micra taxis in Ibadan, Oyo State are getting out of hand. Above is what a lady wrote this morning explaining how her friend almost became a victim. » made in ibadan(english don die 4 ibadan girls hand)chai! !